In December of 1957, after the humiliation of the Soviet launch of Sputnik 1, the United States attempted to recover some dignity by launching its own entry into the International Geophysical Year. 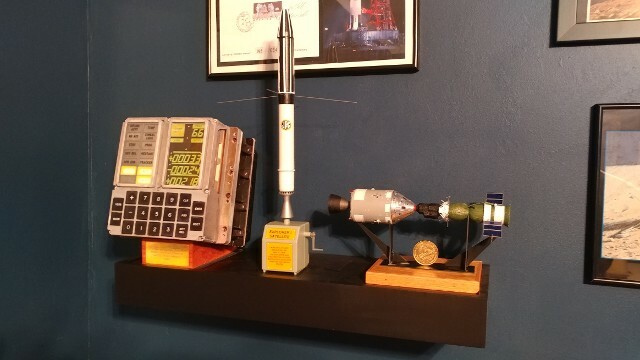 The Naval Research Lab tried launching a purpose-built rocket with the Vanguard 1 satellite aboard. The launch failed in an explosion, only three seconds into flight. 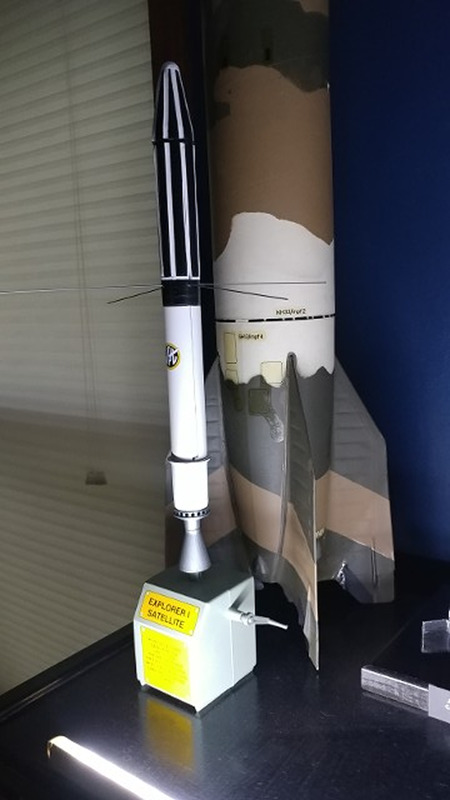 Prevented from having the first go, due to the booster rocket's "military background," the Army Ballistic Missile Agency team, headed by Dr. Wherner VonBraun, was given "90 days" to put an American satellitte into orbit. They needed only 84 days. 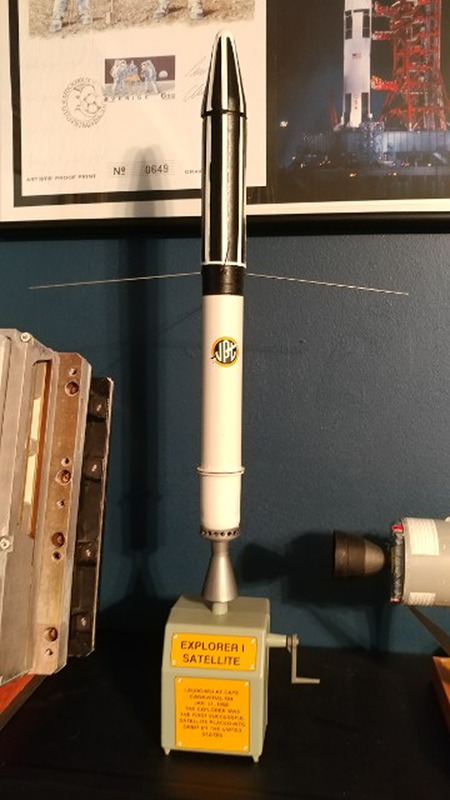 The Glencoe Models kit is a 1/6 sale model of Explorer 1, provided with a "turnstile" display stand, that lets the observer rotate the satellite to any angle they wish. The satellite was the creation of Dr. William Pickering and his team at the Jet Propulsion Laboratory of Cal Tech, in Pasadena, California. 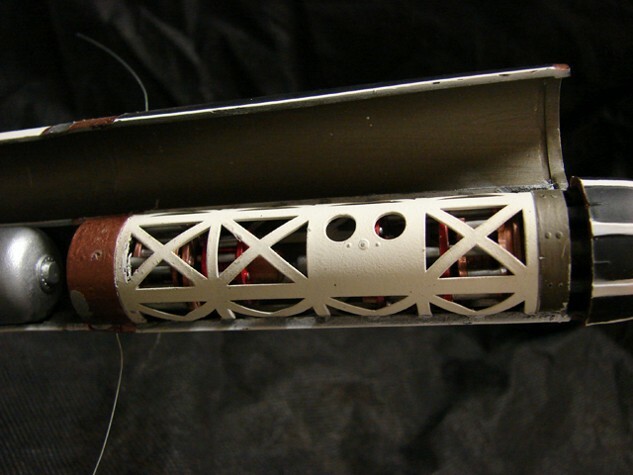 The scientific instruments aboard were designed and built by Dr, James Van Allen of Iowa State University. These instruments helped to discover the presence of belts of highly charged particles trapped by the Earth's magnetic field. Now called the "Van Allen Belts," they were the first major scientific space discovery of the IGY.